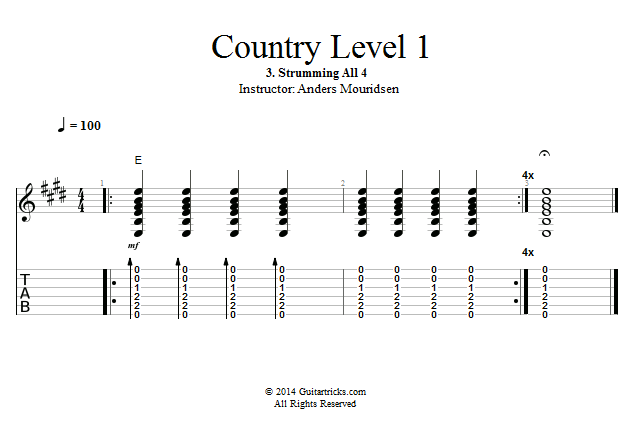 In this lesson we'll start out with the simplest version of a basic country strumming pattern. We'll apply it to just one chord, which will be our open E-chord. The basic unit of time and rhythm we'll be using is called a "bar" and in this context it equals 4 counts. For the most basic version of this strumming pattern we'll simply do a down strum for each count and loop that.